Christmas is upon us, and one of the most celebrated holiday seasons in the world is here. As you worry about the best places to go for vacation, the gifts to buy your loved ones, you are also faced with the dilemma of who you should include in your list of those you will be sending Christmas cards. The more you think about it, the more your list keeps growing. Don’t worry about your list. 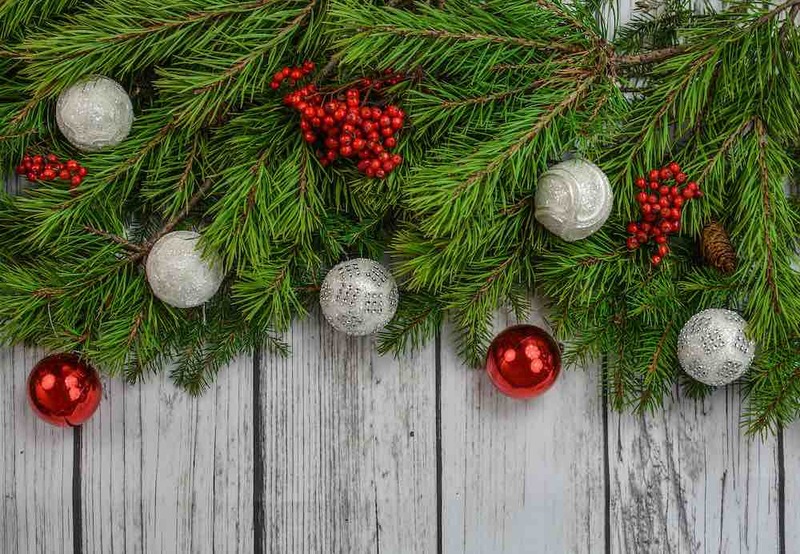 We give a few pointers that will help come with a list of recipients that are indeed worthy of your real estate Christmas cards this year. Pick up a pen, and a paper, then start looking at the people who are in your life, from the most important. Take into consideration everyone, whom you would love to be in touch during this festive season by sending them a Christmas card. It can be your close relatives or a charity organization. To help simplify the task, we give the ten people you should consider sending Christmas cards this year. It’s pretty obvious that family members will be at the top of the list. Start with your nuclear family then move to the extended family. The best way to show love to family members after a long year is by sending them a beautiful customized Christmas card. You can even make it more interesting by sending your picture. Don’t ignore any relative, its Christmas and you should not be afraid to share the love with even the distant relatives. You can find plenty of unique real estate Christmas cards that can be customized to suit your family preference. Also, when sending Christmas cards to relatives take into consideration their religious preference and whether they do celebrate Christmas. If they don’t celebrate Christmas, then you can send them Happy New Year cards instead. The best way to get in touch with a long-lost friend is to send them a Christmas card. Sending them Christmas cards that have a handwritten note will cement your friendship with even more. Does the person celebrate Christmas? Have you been receiving Christmas cards from them also? Are they interested in receiving cards (you might have been sending them Christmas cards for the past few years, and they don’t reply)? Make your Christmas card more memorable and fun, by adding a funny message that will definitely make your friend smile. You should also add a funny memory that the two of you shared together. Whether you like it or not, you spend more time with your coworkers than any other person in the world. The more time you spend with people means you will become friends. Don’t be afraid to share the Christmas mode with your workers. If you want, you can send real estate Christmas cards to all your coworkers, or you can focus on those whom you are more closely related to work-wise. If you work in a big organization sending Christmas cards to everyone will be too expensive and a waste of time. You can send the cards to their home address or surprise them on their desks. Brighten that crazy day of your colleague at work by sending them a warm and funny Christmas card. Many people find it hard to send holiday cards to their superiors since they are afraid of the kind of picture they will portray. When it comes to sending Christmas cards to your boss, don’t be afraid to do it. Just make sure the card is very professional. Let your boss know that you have them in mind during the festive season. Send the card to the office address and makes sure it clearly shows the relationship you have with your superiors. Keep the message simple and direct. Building a good professional relationship extends beyond signing business deals and contracts. There is no other way to market your business and company other than during this festive season. Show your clients that you also think of them during the Christmas season. The real estate Christmas cards from Ziti offer you a wonderful opportunity to appreciate the efforts of your clients and business associates. Mention briefly all the achievements you have accomplished together. Christmas cards are also the best invitation cards for any Christmas company parties or end of year parties that you plan on throwing. This festive season, let sending Christmas cards to your neighbors be part of your to-do list. You only need to make a list, and since you will be delivering them at home, you don’t need to worry about postal charges and postal delays. Cement your relationship in your community by appreciating your neighbors. Many people think that sending Christmas cards to neighbors is meant for those who live in apartments and suites. Well, that’s a wrong myth, even those living in estates should consider sending their neighbors Christmas cards. Just spare five minutes and walk to your neighbor’s mail post and drop them wonderful real estate Christmas cards this year. Is this really important? Yes. Many of us celebrate Christmas and forget to appreciate other people in our community. Who are our community members? Your children’s teachers, the mailman, garbage collectors, the local police department, are just some of the people who are part of our community whom we forget to appreciate during the Christmas season. No matter how busy you are, you have to appreciate the efforts made by the other community members. Since you don’t have to send them the Christmas cards via mail, wait for the perfect time to give them the cards in person. Having a family physician means that he is part of the family. The doctor has been with you for some time, and therefore you should appreciate his efforts as the year ends with a beautiful Christmas card. Your family has managed to stay healthy thanks to your family doctor. You can make the experience more memorable by sending them Christmas cards, which are more customized to their profession. Ziti offers unique medical Christmas cards that will definitely wow your family doctor. Being in the military is very challenging, emotionally and physically, to the men and women who serve our nation. If you have a loved one who is in the military, sending them a Christmas card will show that you still think of them and miss them. You will find that most of the people who serve in the military tend to be far away from their loved ones. Sending them Christmas cards this festive season will definitely lift up their spirits. If you want to appreciate the services of the people in the army in our country, then you can research online for organizations which can facilitate you sending them real estate Christmas cards. Many charity organizations help the less fortunate people in the society. There are many local and international charity organizations which will appreciate some real estate Christmas cards from you. Children in shelters, the disabled, all these people will appreciate a special Christmas card from. It’s also a good way of giving back to the society. You can make the Christmas more special by attaching a few donations this Christmas alongside the Christmas cards.